"The most important piece of disclosure in the pay-vs-performance rule may be your narrative." I help the firm’s clients approach executive compensation from the legal and technical perspective. As they strive to go beyond a check-the-box exercise and instead develop pay plans that align with their business and leadership strategies, there is still a devil lurking in the details. My Technical Services Team helps clients ensure they are making sound decisions relative to contracts, securities disclosure, taxation, and overall sound corporate governance practices. Deborah Lifshey is a managing director in the New York office, where she specializes in advising clients on compensation matters from a legal perspective including securities disclosure, taxation and corporate governance issues, negotiation contracts, and reasonableness opinion letters. 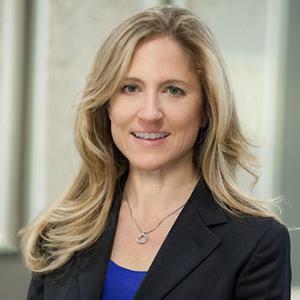 She is a graduate of the Industrial and Labor Relations School at Cornell University and the University of Florida College of Law, and served as a federal clerk for the Honorable Judge Susan H. Black on the Eleventh Circuit Court of Appeals. Prior to joining Pearl Meyer, Ms. Lifshey practiced at Fried, Frank, Harris, Shriver & Jacobson, where she specialized in executive compensation, ERISA matters, and corporate transactions, and at Holland and Knight, where she specialized in employment litigation matters. Ms. Lifshey has authored and/or co-authored the following works: "The New Qualified Plan Minimum Distribution Rules," The New York Law Journal (Winter, 1996); "IRS Changes Rules Through Field Service Advice – This Time on FICA and ESPP," Journal of Taxation of Employee Benefits (January/February 2000); Perquisites, Executive Compensation and Benefits Handbook, BNA Publications (2002); Negotiating and Drafting Employment Agreements, Executive Compensation and Benefits Handbook (2004); and Executive Compensation: The Perspective of the Compensation Consultant, Chapter 15 of Corporate Governance: Law and Practice (2005). Ms. Lifshey is a frequent speaker and panelist on disclosure and taxation issues, and is regularly quoted on executive compensation best practices. Ms. Lifshey is a member of the New York and Florida Bars. Pearl Meyer offers complete information and recommendations on the six new financial metrics ISS plans to use in its pay-for-performance analysis. A new set of proposed rules under Section 956 of the Dodd-Frank Act affects certain banking institutions and replaces an earlier 2011 proposal. Why a principles-based approach to pay-for-performance is more effective than a one-size-fits-all rule.